Get a baseball batting cage from Sport Court® Houston and spend more time practicing and getting better at baseball right in your own backyard! Contact us today for a free consultation or on-site estimate. 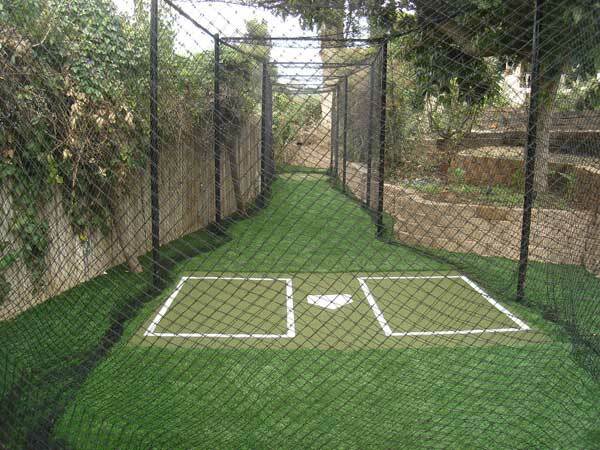 A backyard multi-sport game court is a terrific place to set up your own professional batting cage. Sport Court® Houston provides support poles to integrate into our ball-containment systems, and the batting cage netting is custom-built to your dimensions. Sport Court® Houston can also install batting cages for apartment complexes, rec centers, HOA's and other large facilities in Houston and its surrounding areas. From the initial installation through on-going support and customer service, each customer remains a priority. Once you are committed to a Sport Court® Houston batting cage we, in turn, are committed to you.